Welcome to the jungle! It's a little wild in there. But hey, we like the idea of working out those bottled up feelings in coloring book instead of trying them out on your boss. 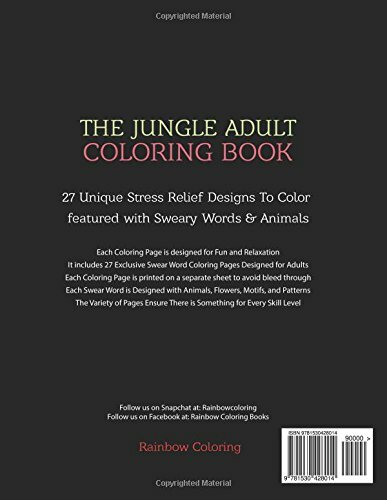 This book uses animals (along with some flowers and patterns) combined with some basic swear words to create a moderately challenging coloring retreat. The animals are nicely done with a mid-level degree of detail. 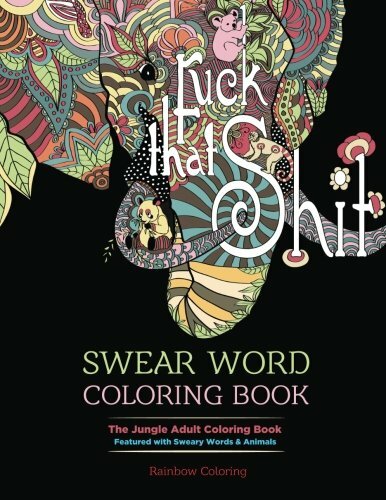 In fact, it qualifies as an enjoyable coloring book in its own right, as opposed to some of the competing books of the swear word genre. The swear words are fairly routine, but part of the fun is the way the letters are integrated into the animals so that the words aren't necessarily obvious. 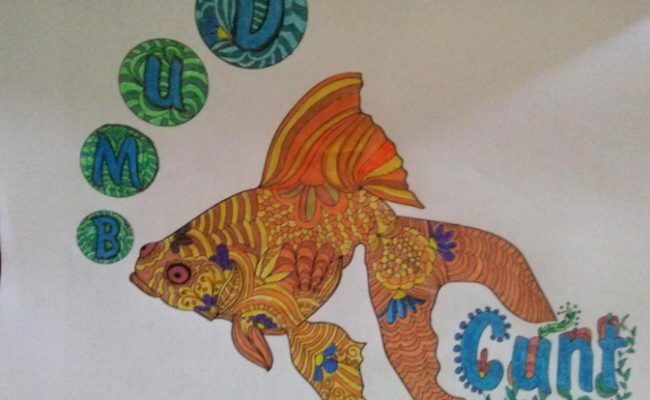 Depending on your choice of color themes, you can create a captivating creature that does not immediately reveal what he has to say. 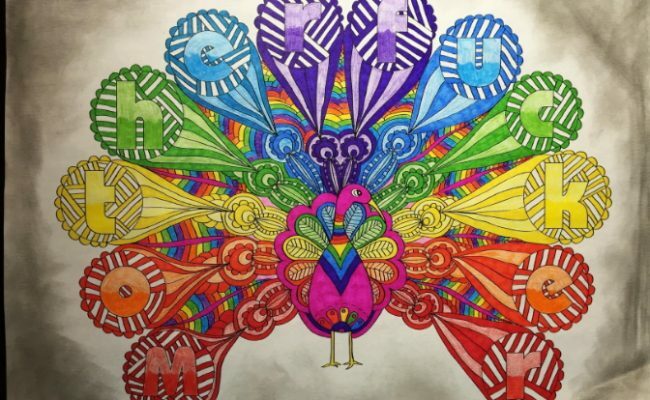 The peacock below is a favorite a mine for just this reason. 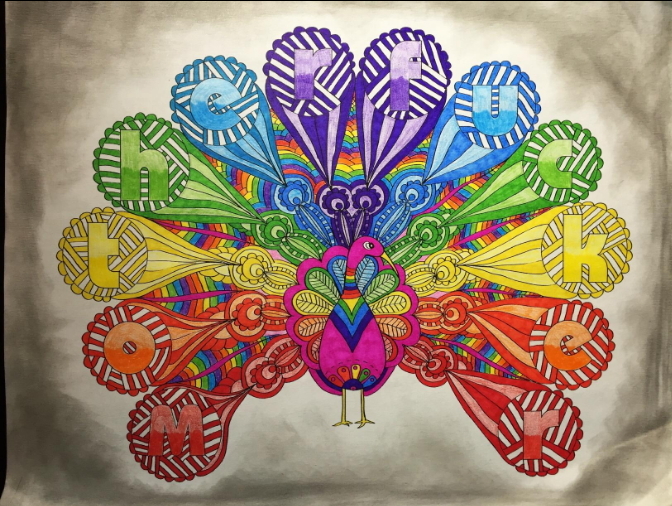 It can make coloring these images a lot more fun and interesting if you think about how to hide your secret message within the color scheme. (A finished drawing could make the perfect gift for a particularly dim-witted boss, now that I think about it). There are 27 single-sided drawing pages, of typical/decent paper quality. Format is 8.5 x11. There's a good variety in the designs, offering a range of difficulties. (And the drawings appear to be original - shame on those who are selling books with ripped-off images). Here are some words you'll find inside the book. 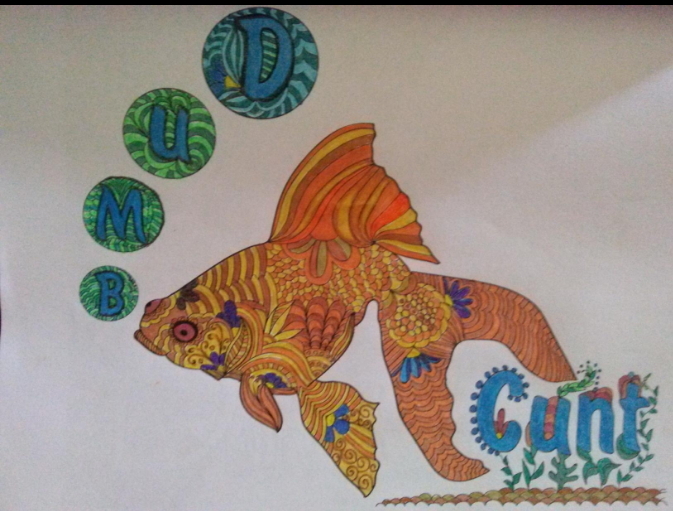 I confess that if I'm going to color swear words, I like them to be shocking or creative enough to make me laugh - or at least giggle guiltily like a naughty schoolkid. Most of these would be considered pretty mundane these days (I suppose that says something about our culture in and of itself - never mind the undeniable popularity of grown-ups coloring in swear words.) But there are some fun ones: "Calm your Balls"? !